Karri is a multi-paneled princess seamed dress with a fitted bodice and flared skirt. 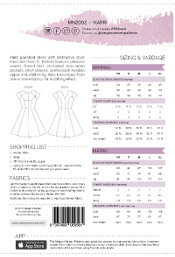 Meg has included lots of really interesting style lines so that it can either be made from a single fabric or a number of different materials to create your own unique design...itâ€™s perfect for using up all the little scraps of precious fabric youâ€™ve been hoarding in your stash! 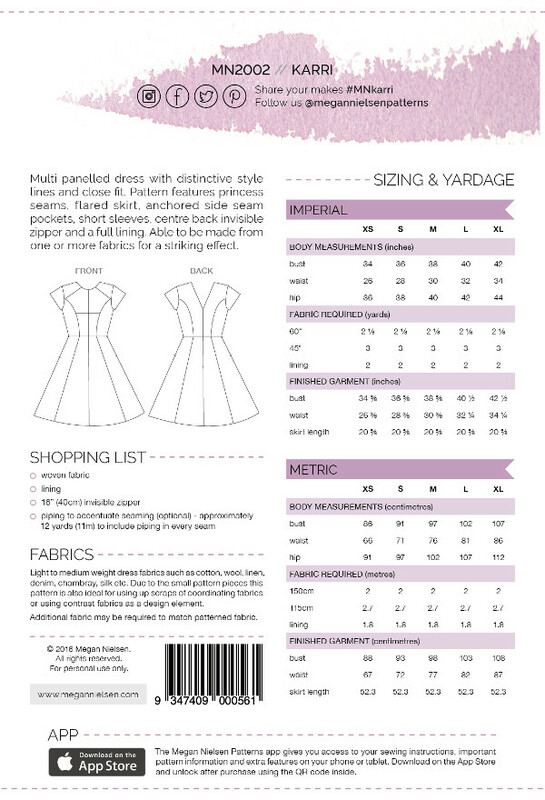 Skill: 3/5 | Sizing: XS-XL (each pattern includes all sizes)Your pattern envelope includes the full size pattern and instruction shion sheet with detailed instructions to guide you through constructing your garment.